This new edition is summarizing our long term experience and taking into account all our customers feedbacks for improved performance and even more easy handling and reduced service necessity. The new design specifically highlights the high viscous residues that are being processed in this system by guaranteeing a continuously operating tempered discharge into an open fraction collector with automatic and precise weight measurement. Processor controlled crude oil distillation system for fully automatic operation according to ASTM D-5236 (Standard Test Method for Distillation of Heavy Hydrocarbon Mixtures, Vacuum Potstill Method). The system is designed for fully automatic operation and evaluation. No user intervention required during the distillation process. Data station for data input as well as for display and print out of all operation parameters, distillation results and distillation curve. The weight of each fraction is automatically taken by an integrated precision electronic balance. The product is being discharged by means of a heated hermetically closing discharge pump. The fraction changes are carried out automatically, alternatively according to a pre-selected boiling temperature or distillate weight or when the receivers are filled up. The fraction collector contains 20 receivers. The boil up rate is controlled according to a pre-selected distillation rate in g/min. 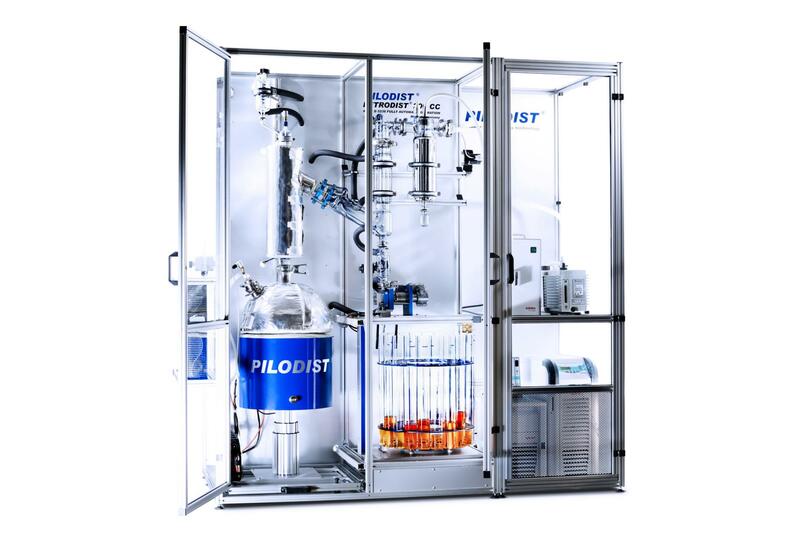 An accurate vacuum control guarantees the required stability of the distillation pressure. Vacuum System to improve automatic pressure reduction, following the dynamic vacuum pressure procedure described on method ASTM D 5236. All necessary accessories will be supplied together with the system. The installation requires water, nitrogen, compressed air and electricity.